Ahead of the 2019 poll, a group of young professionals has officially launched a platform to rally support for the governorship candidate of the All Progressives Congress (APC) in Ogun State, Dapo Abiodun. The group, under the aegis of Dapo Abiodun Alliance Group (DAAG), equally declared that it would embark on massive enlightenment of electorate in the state to ensure Abiodun emerges the next governor of Ogun come 2019. Speaking at the groupâ€™s unveiling ceremony held in Abeokuta, the state capital on Saturday, the convener of DAAG, Lanre Alfred, explained that the group comprising of young professionals and drawn from diverse backgrounds, has a sole mandate of propagating the ideals and vision of Abiodun as well as APC towards the general elections. 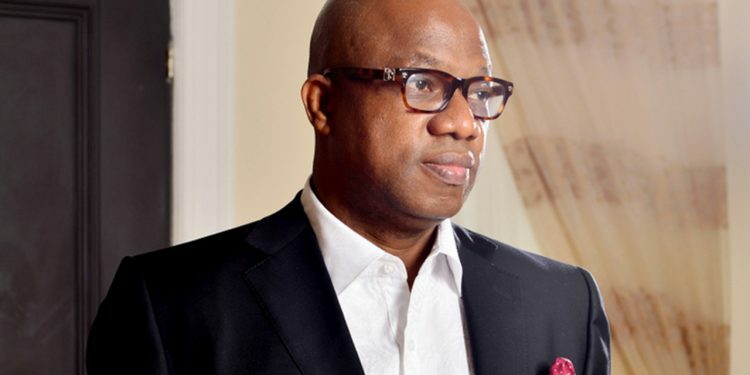 He added that the group, which according to him is self-funded and non-profit, would move throughout the state to sell the candidature of Abiodun, who he described as â€œa person with character, competence, local and international connections and vision to take the state forwardâ€. Alfred added, â€œFor us to have to have come together to form this group underscores the unanimity of our belief that Abiodunâ€™s entrepreneurial successes and strong commitment to good governance, fairness and prosperity for all make him a well rounded candidate for the office of the governor. It is on this reason that DAAG, undertakes to galvanise and mobilise human and material resources for him across the length and breadth of the state to achieve success in 2019â€. In his remarks, the spokesperson of DAAG, Victor Ganzallo, said that not all members of the group are necessarily from Ogun or card carrying members of APC, but successful professionals united by a shared reverence for the inspirational leadership of the governorship candidate.